When the Smartron tbook Flex landed in the Digit test lab, there was a mixed set of reactions. There were some who felt that this was going to be another Surface wannabe which will fail to deliver and then there were those who were excited about figuring out just how good of a Surface alternative it could be. Needless to say, being compared to Microsoft’s Surface means the bar is set high. Overall, there was a lot of curiosity about the tbook Flex, so we quickly got the machine out of its box to see just how well it could keep up with our expectations and needs. You have to hand it to Smartron, the packaging on the tbook Flex feels very premium. Pop open the box, the tbook itself feels so nice in the hands as you’re pulling it out. 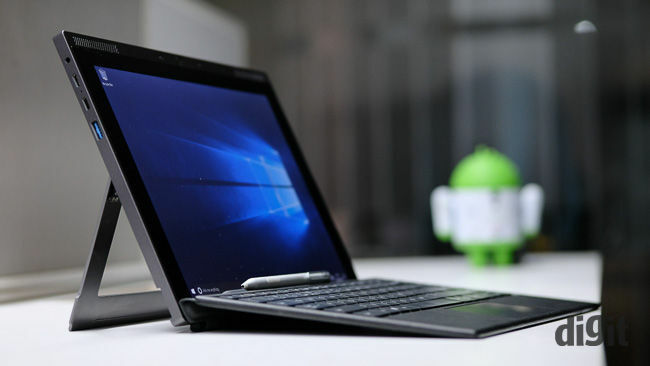 The tbook is rather hefty, coming across as a well-built tablet and not something flimsy. The first thing to check was the back hinge on which the tablet rests and I am happy to report that there is absolutely no flex on the hinges. If you choose a particular angle at which to rest the tablet, it stays exactly at that level. The hinges themselves are very well built, however, the metal stand is somewhat slim and if you apply enough uneven force, it will bend. The supplied keyboard also feels like it has been put together with good attention to detail. While the keyboard surface is wrapped in faux-leather, the other side has a soft suede-like material wraparound on it. There’s also a stylus that’s included with the tbook which runs on a single AAA battery. I’ve been using the tbook for some time, with the last few days it serving as my main work machine. Initially, I was extremely sceptical that the tbook would make it past the first story I filed, but turns out, I’m not done with it yet. Most of the magic lies in the keyboard. It isn’t a tough competitor for the Surface Keyboard, but it is far better than the keyboards I am used to on cheap laptops or even those that you’d find supplied with an office desktop. The Smartron tbook I am using comes with a 7th generation Intel i5 7Y54 processor paired with 4GB of RAM. Again, I initially thought that the tbook wouldn’t be able to keep up due to a processor that favours battery life over power, and such little RAM. Again, wrong. Jumping between three-word files, and up to 15 tabs of chrome were no problems at all. I was also able to fire up Photoshop to resize some photos, however, I had to limit my editing to two open files at a time. The tbook’s usability gets a boost thanks to two full-size USB 3.0 ports, which I used extensively for plugging in external hard drives and an external mouse. There is also a USB-C port with Thunderbolt 3 certification. The tbook also charges over another USB-C port and supports the USB-PD standard for fast charging. Over the past few weeks, I’ve had little to no reason to complain about the tbook’s performance or usability, however, I have been conservative in my use of the machine. The review process of the tbook is almost complete, so a detailed breakdown of its performance attributes will be out shortly. 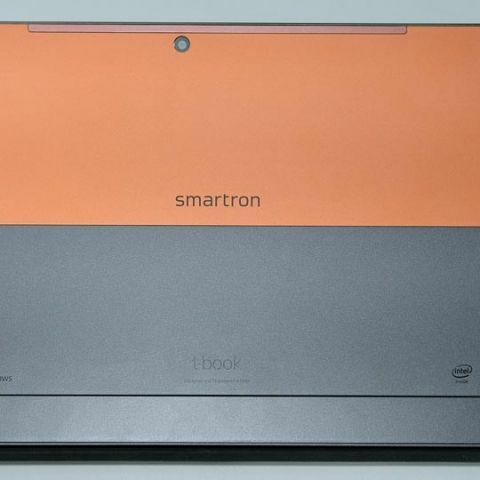 The Smartron tbook powered by a 7th Gen. Intel Core i5 processor paired with 4GB of RAM will cost you Rs. 52,990. 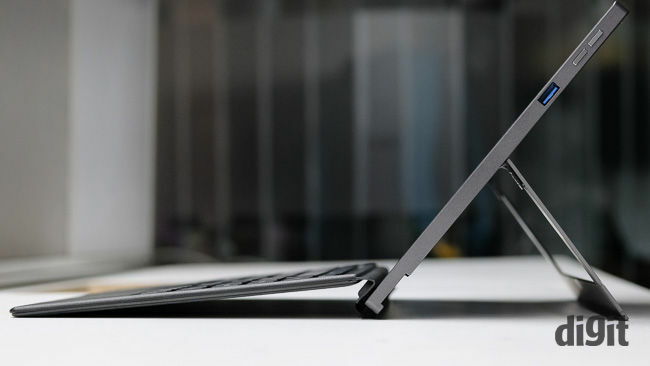 A Microsoft Surface Pro with similar specs will cost you almost 30 percent more. On the other hand, you can pick up a Macbook Air with similar specs but an older (5th gen) Intel Core i5 processor for just Rs. 5000 more, but its neither a Windows machine, nor a convertible and it doesn’t even support a stylus. The Smartron tbook checks off a surprisingly large number of boxes in my initial impression, which is why I’ve been excited about thoroughly testing this new convertible laptop from the Indian manufacturer. It’s a promising proposition and if you’re still not convinced, do watch out for our review coming up very soon.